The Knotwork Collection takes influence from historic Celtic patterns, interpretations of natural forms. 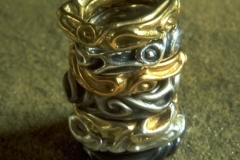 Particularly Dublin National Museum’s stunning trove of Celtic knotwork jewellery, solid, robust, fluid and elegant. 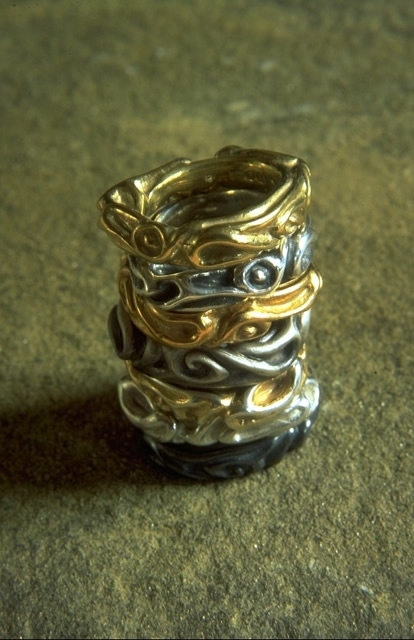 The Knotwork Collection carved deeply into my pebble forms, are endless knots symbolising eternity. Available in Silver or Bronze.